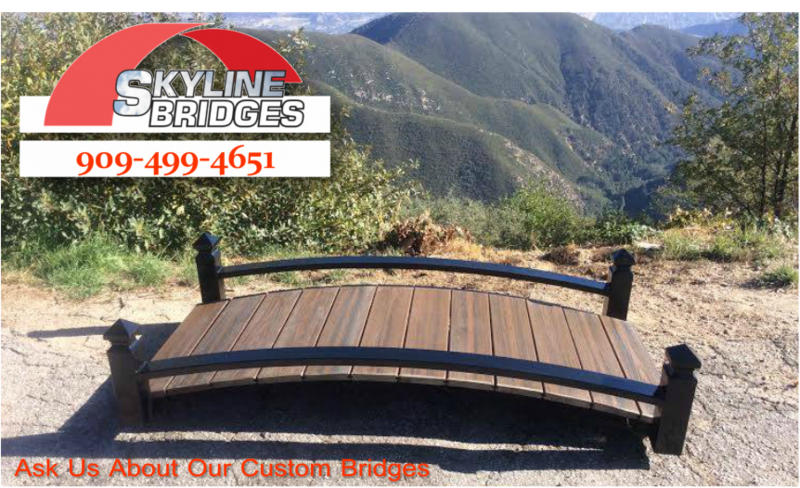 Skyline Bridges are beautiful, incredibly durable, low maintenance, and amazingly strong. Our work and craftsmanship have given our customers an experience, like no other. 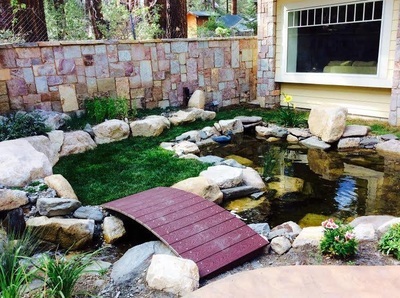 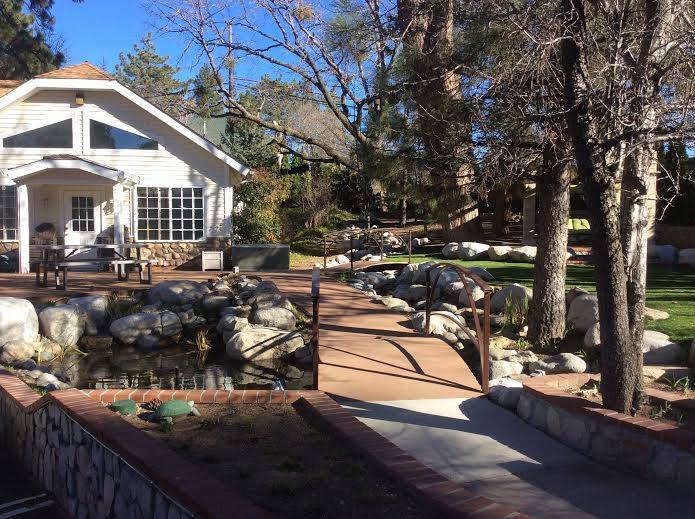 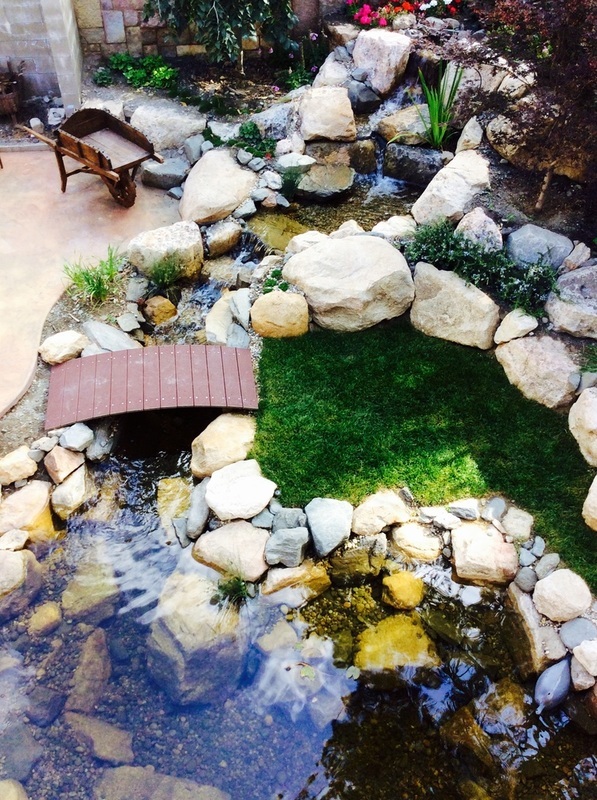 Whether functional or ornamental, pond bridges have the ability to add an extra dimension to your water feature, and can be used to literally "bridge" the gap between an ordinary backyard pond and what could easily become a quaint backyard retreat. 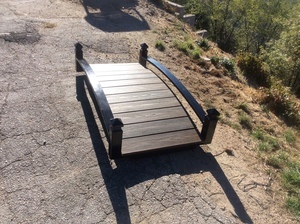 LOOKING FOR A BRIDGE ? 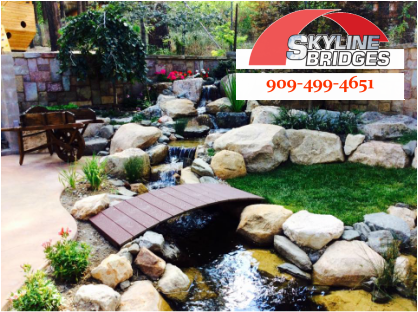 Skyline Bridges are beautiful, incredibly durable, low maintenance and amazingly strong. 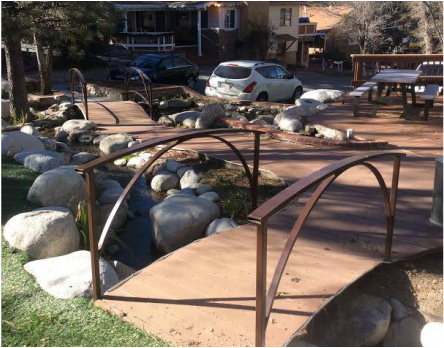 The bridge frames are made of 1 3/4' square steel tubing. 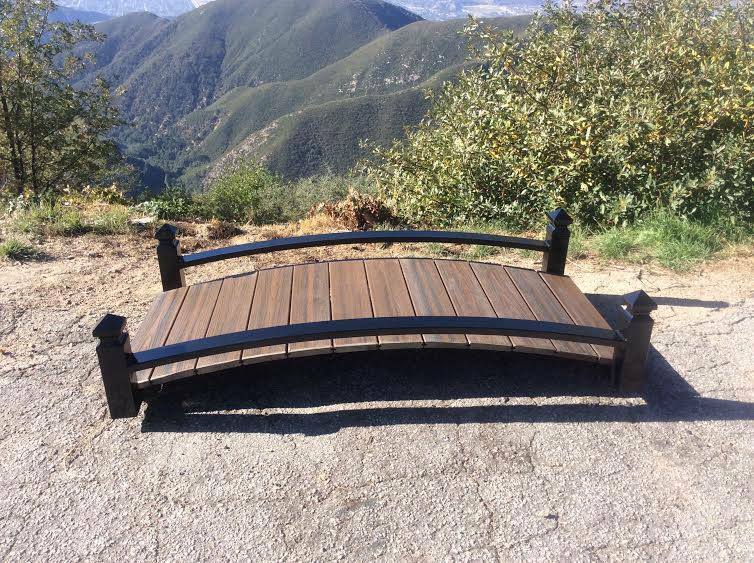 The steel tubing is bent on a roll bender so it has a smooth, even, arching radius which increases strength. 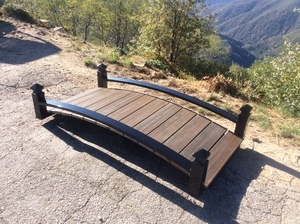 The bridge, when anchored on each end, becomes even stronger because of the arch. 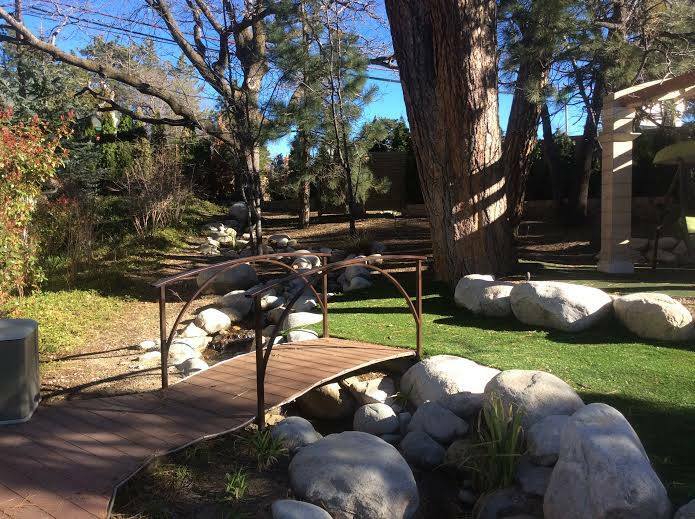 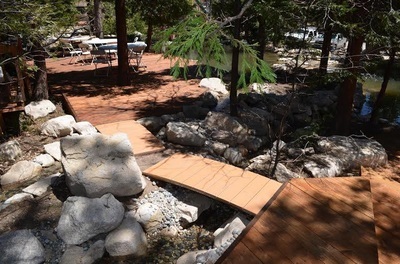 Let Us Help You "Bridge The Gap"
Our low profile design bridges are the perfect fit for streams and water feature crossings where a larger profile might block the views from seeing under the bridge. Non bulky wood sides allow us to create a smaller bridge to make your whimsical landscape more accessible. 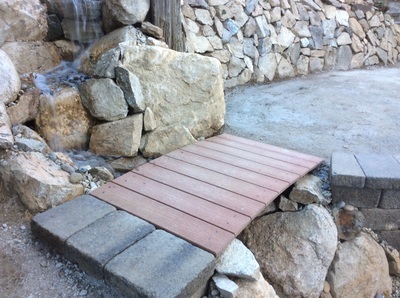 Now intimate pathways or walkways through your garden, landscape, or water feature can be "bridged" to connect hard to reach areas to expand your outdoor experiences!